Looking for an amazing flower shop in San Francisco? There are dozens, but a few come to mind when we’re thinking about the best places to buy single blooms for your apartment or pretty bouquets to take somewhere as a host or hostess gift. When you’re visiting what we think is the most beautiful city in the world, or if you have the pleasure of living there, visit the following flower shops for floral beauty for yourself or someone special that’s absolutely beyond compare. Farmgirl Flowers’ owner, Christina Stembel, grew up on a farm in Northern Indiana. She harvested soybeans and corn, not flowers, but she learned an appreciation for agriculture at an early age. Her experience on her family farm gave her the knowledge necessary to build a thriving local-model flower shop for San Franciscans, and visitors, to purchase fresh varieties of flowers that change each morning. When you visit Farmgirl Flowers, look for Christina’s Bouquet of the Day if you need inspiration for an exceptional and special bouquet. Bloom That is an online-only flower shop based out of San Francisco. It’s a floral company that’s just a year old and one that keeps its inventory limited to only seven, or eight, seasonal arrangements at any given time. Bloom That started when three friends – Chad Powell, David Bladlow, and Matt Schwab – wanted to easily source flowers during their busy schedule if they needed a “makeup” or “sorry” gift for their girlfriends. They wanted to be able to quickly find, and give, a bunch full of beautiful flowers (or a stunning succulent) show their love and appreciation. If you find yourself in need of a gift to make amends in a hurry, or if you just want some pretty flowers on the spot, call Bloom That. Flower Delivery from Bloom That is guaranteed within 90 minutes or less. The owner of Utsuwa Floral Design, Hiro Hayama, ran a flower shop in Tokyo before opening his floral studio in San Francisco. With more than 10 years experience behind him, he turned his vision for the perfect flower shop into Utsuwa Flower Design, a haven that features moss balls and air plants hanging from the ceiling. When you step into Utsuwa Flower Design, you’re immediately met by a range of exquisite bonsai, succulents, and air plants strewn about – all of which Hayama incorporates into his ikebana-style bouquets. 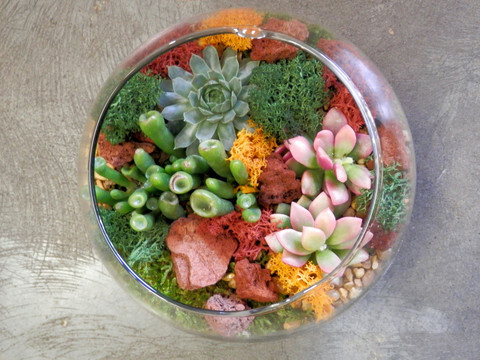 Utsuwa Floral Design is known for its custom terrariums, so ask about those when you visit. The shop also specializes in mini gingko trees and exotic plants. Have you been to any of these flower shops in San Francisco? If so, what did you think of them? Do you know of any other flower shops in San Francisco that should be included on a “Best Of” list? If so, we’d love to hear about them in the comments below. Looking for an amazing flower shop in San Francisco? There are dozens, but a few come to mind when we’re thinking about the best places to buy single blooms for your apartment or pretty bouquets to take somewhere as a host or hostess gift.When you’re visiting what we think is the most beautiful city in the world, or if you’re lucky enough to live there, visit the following flower shops for floral beauty for yourself or someone special that’s absolutely beyond compare.